Owners were extremely helpful and nice, the common area had a nice view and was a great place to eat breakfast or just hang out. The view from our balcony was very nice and there was easy access to beaches, restaurants, stores (we had are own car). Very good internet and very clean. 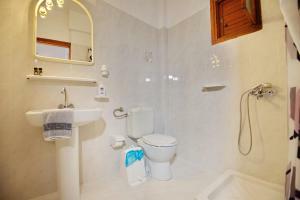 Good facilities( kitchen, air condition, hairdryer)!!! 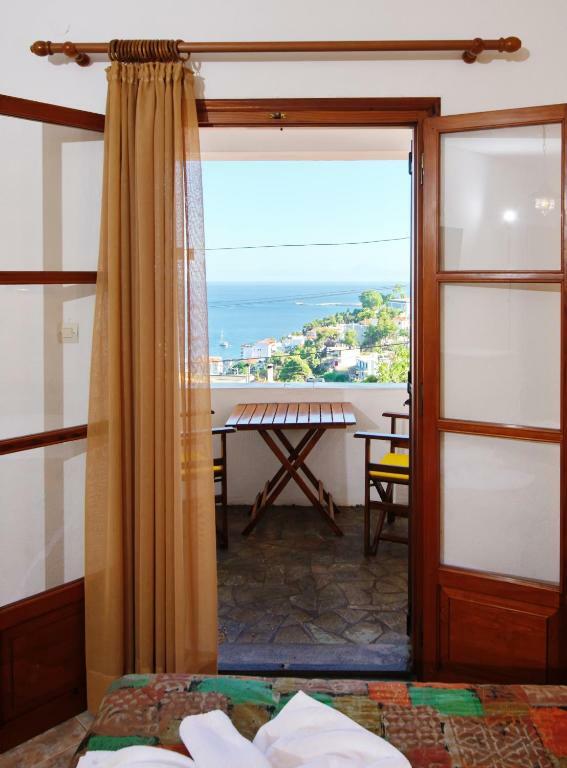 The sea views from the room were beautiful and the apartment very spacious, with 2 balconies and 2 bathrooms. Katherina met us off the ferry and also very kindly dropped us off very early in the morning for the return ferry to Skiathos. We would have struggled to find the accommodation without her help, as we arrived on the island after dark. Angela, Katherina's mother was very friendly and baked us a tyropita one morning which was delicious and a lovely gesture. Location, the view from the balcony, clean room and friendly staff. The room was clean and was cleaned every day. The pillows and the mattress were ok. The view to the sea and the Patitiri village was fine even though partially obstructed by the roof of the house in front of our small balcony on the top floor of the accomodation (the floor below us had a view to the wall of the house in front). The staff was overall polite and offered us a large cheese pie on the day of our departure. 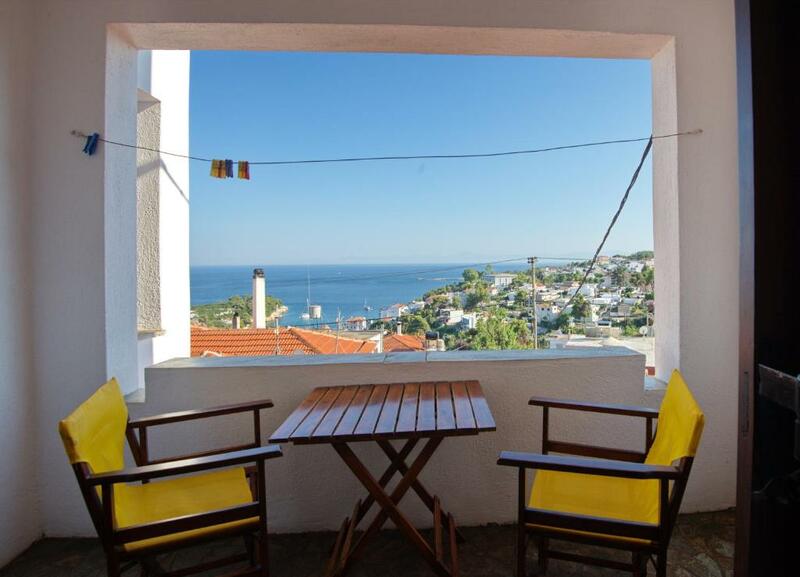 There is a nice common space shaded veranda (shared by all guests of the accomodation) with sea view and a small kichen which we could have used to make coffee. Clean, nice view, free ride to and from the port, very helpful Katerina, Alonnisos cheese pie from the mother, would go there again. 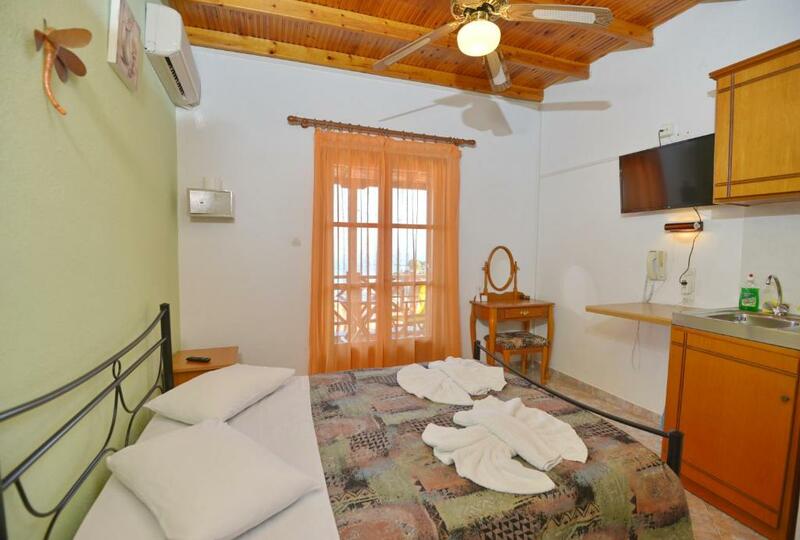 Clean spacious rooms, comfy bed, good view over Patitiri to the sea. Convenient location for driving either to Old Town or the main road up the island. 10 minute walk to the harbour. Wonderful cheese pie cooked by the owner. Free collection/drop-off at the ferry. Room cleaned daily. Πολύ καλή τοποθεσία του καταλύματος ,που βρίσκεται σε υψηλό σημείο ,με αμφιθεατρική θέα στη θάλασσα, κοντά στα κάθε είδους καταστήματα ,το λιμάνι και τις πολυάριθμες ταβέρνες ,για νόστιμο φαγητό μπροστά στη θάλασσα Μεγάλη τηλεόραση και ψυγείο ,καθημερινή καθαριότητα ,οικογενειακή επιχείρηση ,φιλικό προσωπικό ,πολύ καλές παροχές σε σχέση με την τιμή . Πολύχρωμα λουλούδια σε γλάστρες ,σε όλη την εξωτερική διαδρομή για το δωμάτιο ,που σου δίνουν την αίσθηση ότι βρίσκεσαι στο σπίτι σου και όχι σε ξενοδοχείο! Υπέροχο μπαλκόνι ,με τραπεζάκι και καρέκλες και εξοπλισμό για άπλωμα των ρούχων σου. Lock in a great price for Pension Andromeda – rated 9 by recent guests! One of our best sellers in Patitiri! 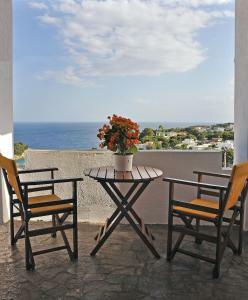 Pension Andromeda offers traditionally styled rooms with private balcony and a charming garden with geraniums. It is located in the island’s capital, Patitiri, right above two small harbors, Votsi and Roussoum Yialos. 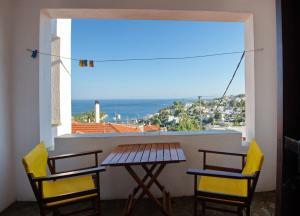 The air-conditioned rooms offer balconies with panoramic views of the sea, come with a fridge, TV and telephone. 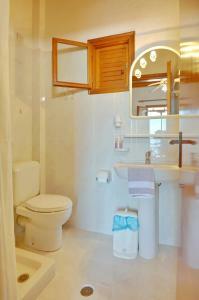 Free Wi-Fi is provided throughout the property, and several units have a kitchenette. 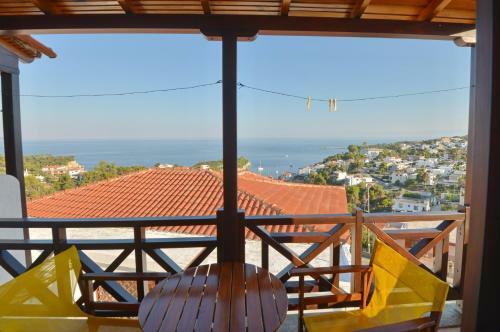 Pension Andromeda is only 550 feet from the National Marine Park of Alonnisos and 1.2 mi from Alonnisos Town. The central port is about 0.6 mi away while the beach lies within a 7-minute walk. This is our guests' favorite part of Patitiri, according to independent reviews. 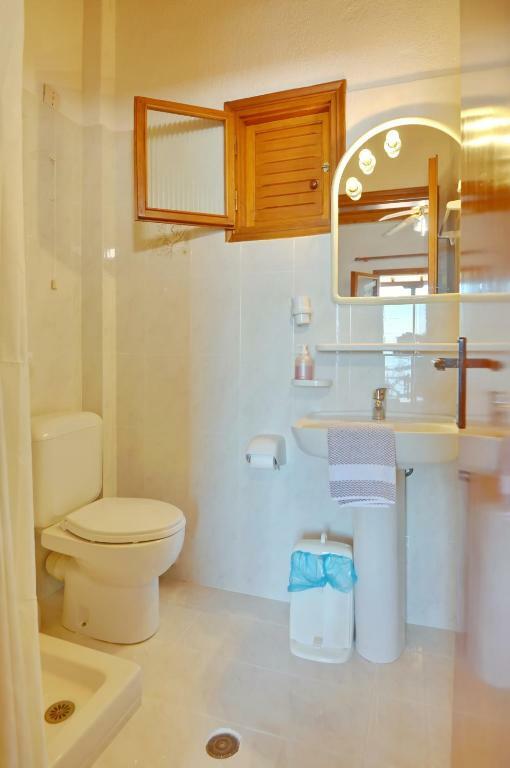 This property is also rated for the best value in Patitiri! Guests are getting more for their money when compared to other properties in this city. 뀐 Located in the top-rated area in Patitiri, this property has an excellent location score of 8.6! When would you like to stay at Pension Andromeda? Please note that this room type can only accommodate 1 extra guest up to 2 years old in a crib. Studio provides side sea views. Please note that this room type cannot accommodate any extra guests. 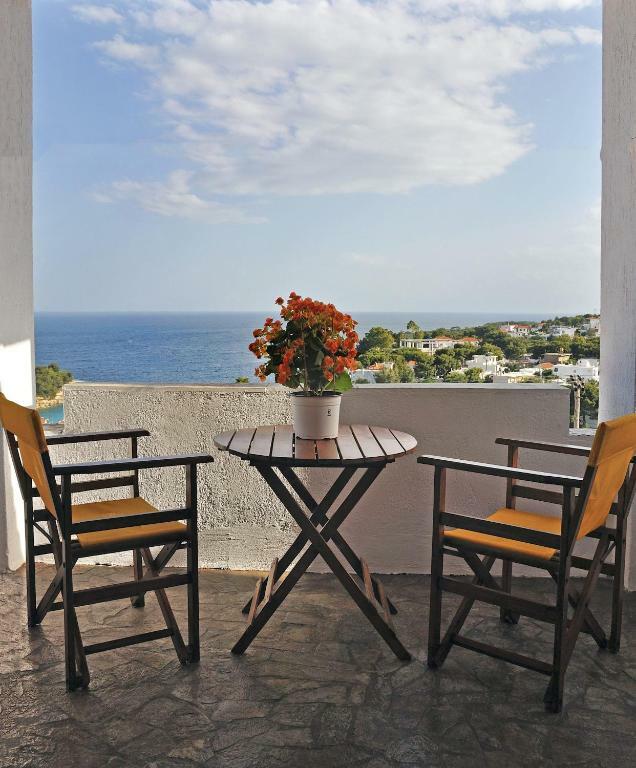 This spacious apartment has 2 balconies with sea view and 2 bathrooms. 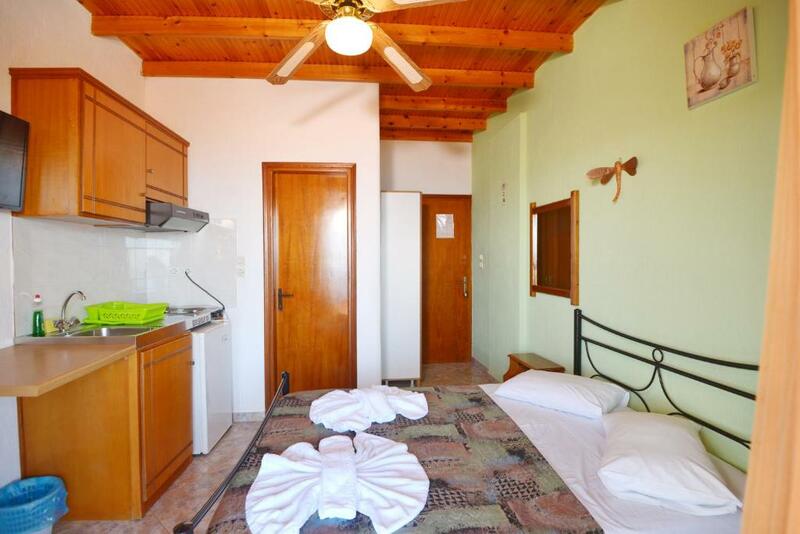 The room rate is based on 2 adults and 2 children up to 18 years old. House Rules Pension Andromeda takes special requests – add in the next step! One older child or adult is charged EUR 10 per person per night when using existing beds. Pension Andromeda accepts these cards and reserves the right to temporarily hold an amount prior to arrival. Nothing much really. Beds could have been a little better. The room was a bit small and it needs to be redecorated,also some more wall sockets are needed. Noise: We had to hear avery vehicle (cars, trucks and especially motorbikes) of the island going uphill in the main road near the accomodation. This is the only road leading to the beaches of the island. We also had to hear everything people in the other rooms said. We woke up at 3am on the first night of our stay (yes we managed to sleep despite the loud noise from the street) by the loud voices of your neighbours arriving at their rooms (there was a local dance festival taking place on that day in Patitiri). TV: We could watch only three Greek chanels (no international chanels) on the old small TV of our room. Internet: We had no internet (the signal was too weak to connect). Shampoo: We had to buy our own shampoo as none is provided. Room: We had a very small room where the kitchen sink almost touched the bed. Staff: We arrived and found nobody to show us the room even though we had sent them an e-mail saying that we would arrive at 2-3pm (afternoon) and we arrived at 2:15pm by the local ship. We had to call them after we arrived to find someone to show us the room and give us the key. We also received an e-mail from the accomodation staff 3 days prior to our arrival asking us to reconfirm our reservation even though it was confirmed already with Booking (we responded stating the expected time of our arrival). Breakfast: We were not offered breakfast even though it was included in the price. We were not informed about any breakfast and when we went to the 'breakfast' tables at 9am no one was there. Payment: We had to pay cash since this accomodation does not accept credit cards. No way to attach the shower head to the wall so not possible to have a 'proper' shower. But bathroom very clean, hot and cold water with very good pressure.